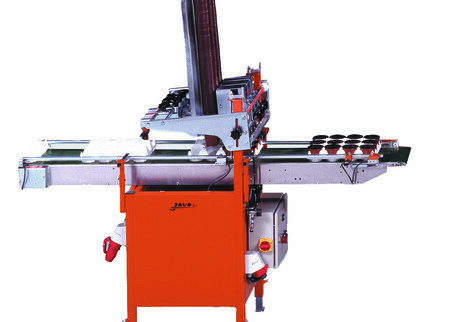 Javo PITA system offers a reliable, economical solutions for playing empty pots in trays. This labor- and money-saving machine can be customized to fit almost any pot-in-tray line. Javo has two varieties of pot-in-tray lines. Depending on the tray, a choice can be made for a completely integrated line in which tray dispensing and pot dispensing are combined in one unit. For trays which demand the most extreme in technique, Javo designed a very effective pot dispenser. The PITA system is almost infinitely adjustable, able to dispense in singles, doubles, triples or quads. The system can be programmed for most trays, does not require a compressor and is suitable for round or square pots.